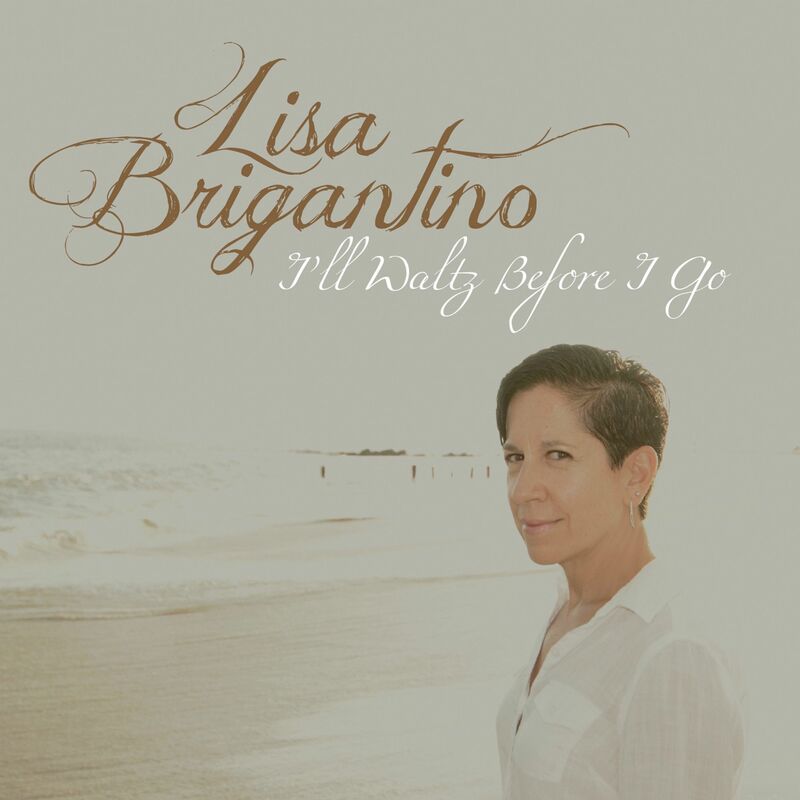 Singer/songwriter Lisa Brigantino releases new album "I'll Waltz Before I Go." BROOKLYN, N.Y. - Oct. 15, 2018 - PRLog -- Award-winning singer-songwriter/composer, multi-instrumentalist Lisa Brigantino announces the release of her third full-length album I'll Waltz Before I Go. Brigantino's previous albums Wonder Wheel and A Brooklyn Night continue to receive excellent reviews and international airplay. A Brooklyn Night even garnered Brigantino a Citation of Merit from past Brooklyn Borough President Howard Golden. I'll Waltz Before I Go continues Brigantino's tradition of producing albums containing her eclectic original songs spanning many genres including Folk, Roots, Americana, Old-Time, Country, Pop, and Rock. Her songs touch on the topics of love, loss, longing, hope, gratitude, family, and more. "I don't listen to one particular type of music and I think that's the same for most people," says Brigantino. "I love a variety of genres of music and that can't help but show up in my own songwriting. Also, because my work is self-produced and released, I'm not under the thumb of a record label telling me what to do." Singer-songwriter/musician Terre Roche says, "I'll Waltz Before I Go is one of the best things I've ever listened to! Every aspect of it came at me like a steamroller. The songs are so interesting. Lisa slides effortlessly among all of the many influences she's absorbed over the years. At the same time, there is not one moment of imitation in the entire pageant. That is a real accomplishment! Lisa's music is very relevant in today's world. In a time of such confusion to hear such a clear confident musical expression is most inspiring." I'll Waltz Before I Go was co-produced by Brigantino and husband Thomas Millioto and was recorded and mixed by Millioto. The album contains 13 songs. Twelve songs are written by Brigantino, and two of these songs are co-written. There is also one cover song on the album. The album contains guest performances by Thomas Millioto, Lori Brigantino, Susan Haefner and Morgan "Gus" Buttolph, Brigantino's former Lez Zeppelin bandmate. With a majority of the instruments played by Brigantino, the arrangements show her versatility as an artist; ranging from mellow vocals and finger picked acoustic guitar, to full band arrangements with Brigantino deftly handling guitars, bass, keyboards, accordion, mandolin, and more. The album contains several unique collaborations including a song co-written posthumously with Brigantino's cousin Felix Pappalardi, the legendary producer/composer/multi-instrumentalist/bassist who produced Cream, The Youngbloods, Hot Tuna (among many others) and went on to produce and play bass in Mountain with Leslie West. Brigantino had some handwritten sketches of lyrics written by Pappalardi in her possession since his untimely death in 1983. She showed the lyrics to her husband only a few years ago and he suggested she write music to some of the lyrics. She asked the Felix Pappalardi Estate for permission to do so, and the 1970s-infused Rock tune "Nowhere at All" was born. "Felix was such an inspiration for me when I was growing up," says Brigantino. "He even gave me my first electric bass when I turned 14, and was always encouraging of the creative exploits of both my sister and I. It's a tremendous honor for me to have collaborated with him on "Nowhere at All." The second co-write on the album is "Free Verse," an old-timey sounding tune in three-part vocal harmony with Brigantino joined by her sister Lori Brigantino and long-time friend Susan Haefner (both make several appearances on the album). The three have been singing together since college. Brigantino's childhood friend Mark Thiel supplied the lyrics for the song. They starting writing music together in high school, and when they went off to college, Thiel would mail lyrics to Brigantino, and she'd put them to music. "Free Verse" is one of those songs. Another notable collaboration on the album is on the familiar 1920s song "Five Foot Two, Eyes of Blue." The lead vocal and ukulele are played by Brigantino's maternal grandmother, Angelina Spinelli. That track was taken from an old 1950s family reel-to-reel recording. Brigantino and her sister Lori added harmony vocals to the original track, so they could "sing" with their late grandmother, which was an incredibly moving experience. A composer, with a Master of Music degree in music composition and music theory from SUNY Fredonia, Brigantino also custom scores for TV, film advertising and more and has had a number of placements of her original songs in a variety of media. Brigantino is also a former original member of Lez Zeppelin, the world's first all girl Led Zeppelin tribute band, where she played bass, bass pedals, keyboards, and mandolin. She toured internationally with the band for a number of years playing A-list venues and festivals around the world, including headlining Bonnaroo. The band released their self-titled debut album in 2007, which was recorded and produced by the legendary Eddie Kramer. Brigantino co-wrote two of the original songs on that album. She left the band in 2009 to get back to focusing on her original music. You can currently find Lisa Brigantino touring in support of I'll Waltz Before I Go, often performing with her sister Lori Brigantino, a vocalist and multi-instrumentalist. To find out more about Lisa Brigantino, and to order a CD copy of I'll Waltz Before I Go, please visit https://lisabrigantino.com/. I'll Waltz Before I Go is also available as a digital download at iTunes, Amazon, and other various online music outlets.